What’s the difference between you and your friend who regularly gets more sales from his emails? Do any other options occur to you? Well…if you’re thinking that perhaps your friend is offering more targeted offers, I’m with you. Yes, a better targeted offer means a lot more than all the above factors combined. To understand the answer to this question, let’s reverse engineer this situation. How can someone have a super responsive list? How can a product owner or marketer know exactly what’s on the mind of his list? How can he make irresistible targeted offers? The answer is simple. He knows because he asked. And the targeted offers are a result of knowing exactly what the subscribers need. At the risk of oversimplifying, I’ll put this as “One Size Fits All rarely works for the online audience” You have to know how to segment your visitors based upon their interests. The next time that you unsubscribe from a smart site, do spare a minute to check how its unsubscription page looks like. You can see about 12 different lists here. The way the list is named will tell you a lot about the interests of the subscribers to be found on that list. You may wonder about the need to maintain so many lists. But this is where the key lies. And SurveyFunnel lets you master exactly this. First, it lets you grow your lists by engaging people with interactive slide-out surveys. And then it lets you add them to a specific list. 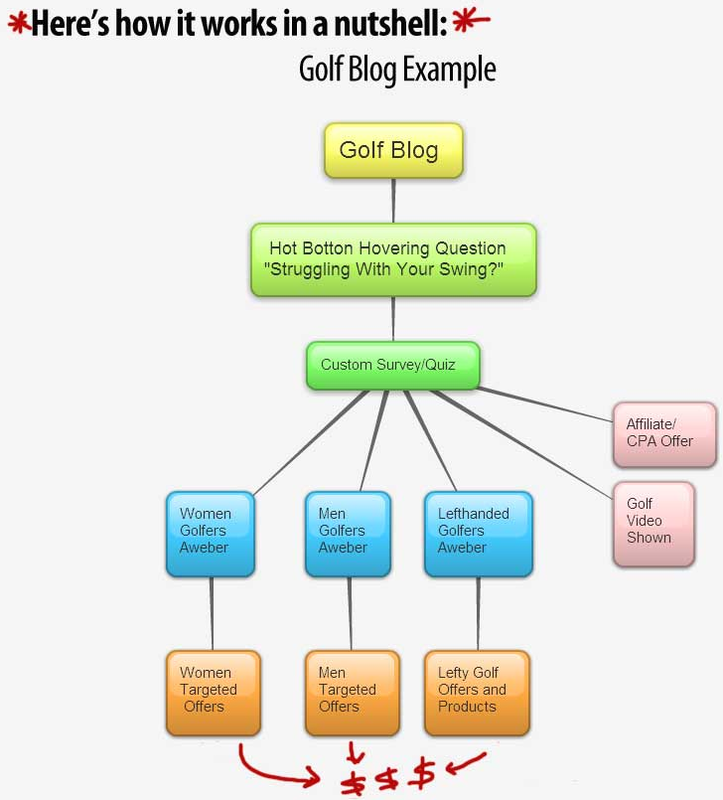 Don’t you think that absolutely laser targeted offers can be made to the Lefthanded golfers? Or even to the women and men lists? You stand a chance of selling once you promise to solve your user’s problem. But you can’t do that without relating with him in the first place. Targeted email lists help with this. Once you’re ready with your email lists, you can then present their subscribers with targeted offers. SurveyFunnel lets you grow targeted email lists and thus it helps you in offering targeted deals based upon the data that you collected while creating the lists. I’ve a post about the top 10 resources for learning WordPress on our blog. So it can be assumed that majority of the people reading that post are interested in further improving their development skills. All these people will, therefore, make great candidates for my upcoming WordPress tutorial series. With SurveyFunnel, I can try to get them all to sign up for it even while it’s not fully ready! I’ll get to this using the same WordPress tutorial course example. Like I mentioned, this list is not meant for all of my visitors. It’s just for the ones that are interested in learning WordPress. So I’m not going to include it on all the pages or posts on my site. I’ll add it just to the post about learning WordPress. Setting up the survey takes like 15 minutes flat. I can simply put a question asking people if they are interested in learning. 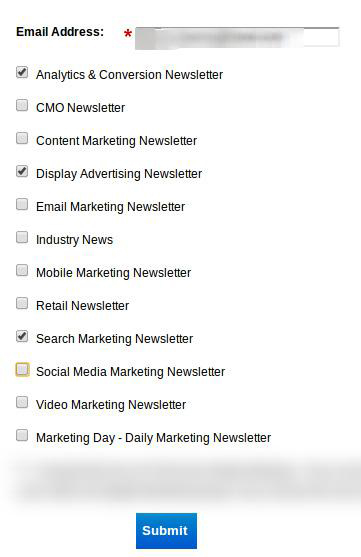 All the people who answer in a “Yes” will be added to the relevant list by SurveyFunnel. SurveyFunnel is integrated with all the popular autoresponder services. So you don’t have to struggle on that front. I could have created a series of questions too. I could have further segmented my list with each question. Each question could have given me better insight into the the subscriber’s needs and all of this would have helped me shape my final sign up letter to each of these segments. Say…. I could easily tweak my offer for the users interested in learning theme development. I could also do so for the users who only need to find their way with WordPress. Targeted offers are known to boost conversions. But the real skill is in leading people to the relevant lists. But is everyone willing to participate in surveys? You may think that people will hesitate in participating in your surveys. While it is okay to think this till an extent but the list that you will build will be highly targeted. You don’t want a 20k list that jumped in only because of a freebie or concession. Rather, you should look to create a list that is full of genuine and targeted leads. The quality of leads is very important. Because ultimately you want your subscribers to buy from you. This post was sponsored by WPEka. 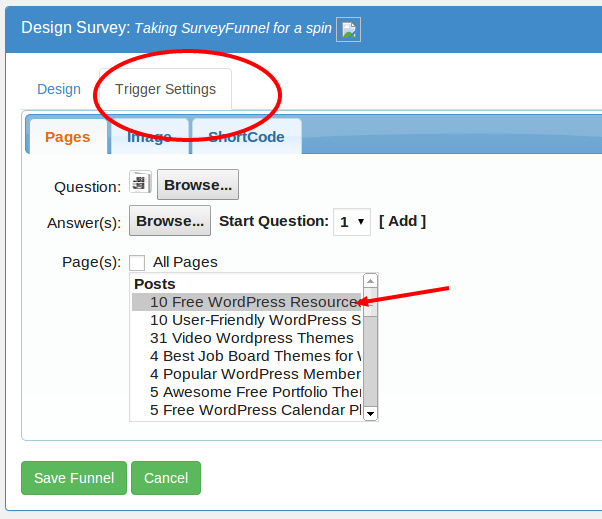 SurveyFunnel is available as part of the WPEka Club. It has 75 premium WordPress products including 48 plugins and 27 themes. A new product gets released every week.